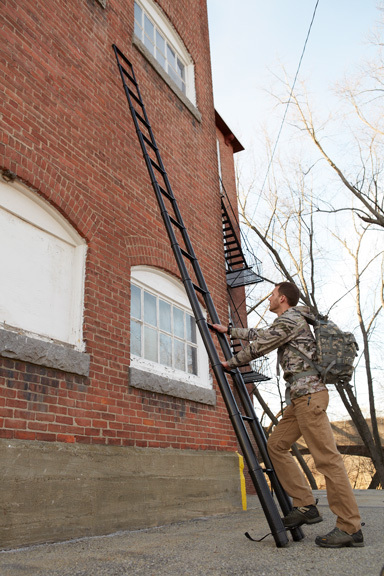 The LAL-18 is a minimalist, portable, telescoping ladder. 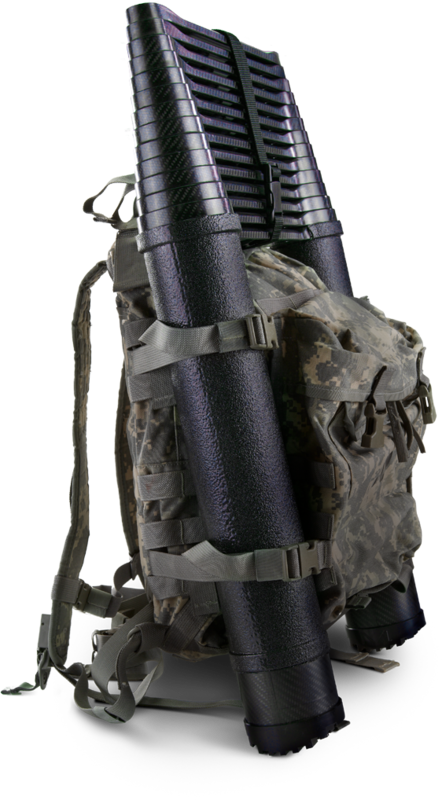 It is strong, light, intuitive to use, and quick to deploy and stow. 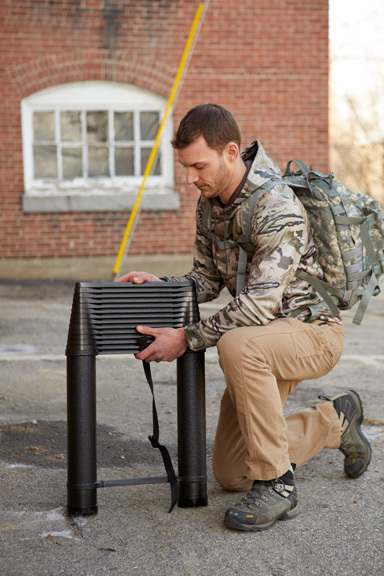 It can be easily transported by a single user, and integrated into a backpack or other gear. 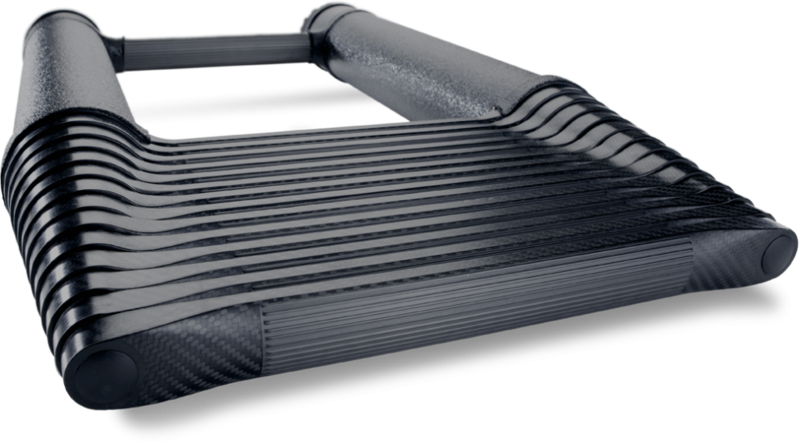 The 18 foot ladder consists of 14 telescoping carbon fiber sections. When extended, the sections are secured via two locking pins beneath each rung. 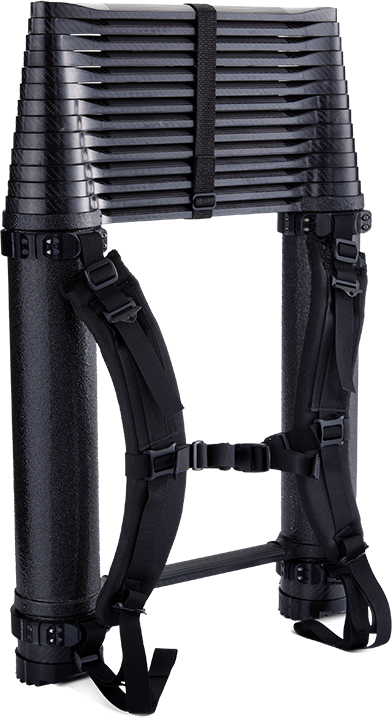 The rung sections are modular, and the ladder can be utilized in any length to suit specific mission or task requirements. It can be fully extended or collapsed in under 20 seconds, without tools. 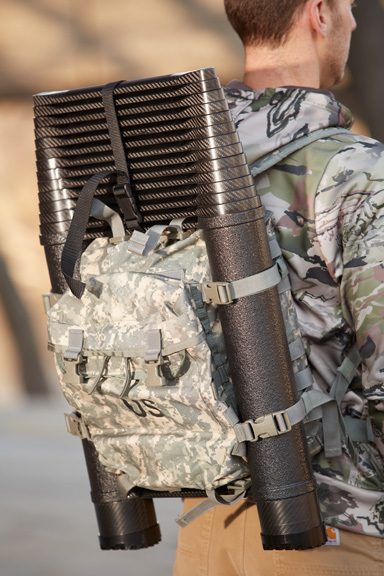 The LAL-18 project began in 2010, in response to a USSOCOM requirement for a long-reach, lightweight, compact, transportable ladder for use in “extreme environmental and strategic conditions.” After extensive R&D, field, and lab testing, the final product was approved and has been fielded to USSOCOM units since early 2016. Higher reach than any competing product. Transportable, packable, “jumpable” for airdrop missions. Intuitive design, simple to use and maintain. Modular and can be used at any desired height. Learn more about Pilot’s mission, capabilities, and team. COPYRIGHT © 2017 MACY INDUSTRIES, INC. ALL RIGHTS RESERVED.